We believe in the Triune God - Father, Son, and Holy Spirit. We believe that all have sinned, that sin separates us from God, and that sin is the cause of discontentment and unrest in our lives. We believe that Jesus Christ suffered and died for our sins so that we might have life both now and forever. 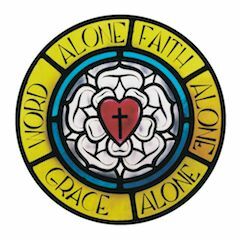 We believe that through the Means of Grace (Bible, Baptism, Lord's Supper) God grants forgiveness, creates and sustains faith. We believe that Jesus' body and blood are truly and really present in the Lord's Supper for our forgiveness. We believe that in a Christ-centered life we receive peace and contentment. We believe that the Christian demonstrates faithful and thankful living by worshiping and studying God's Word with others. We believe that every Christian has been given spiritual gifts by God's grace to be used for the strengthening of the Body of Christ, the Church. We believe that we are saved by grace through faith in Jesus Christ. 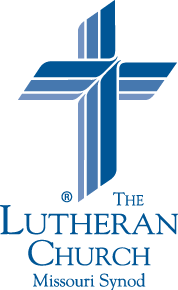 You can find out more about the Lutheran Church Missouri Synod at www.lcms.org.